I am a natural Mama who has found it difficult to find healthier all-in-one beverage and snack options for my three children. 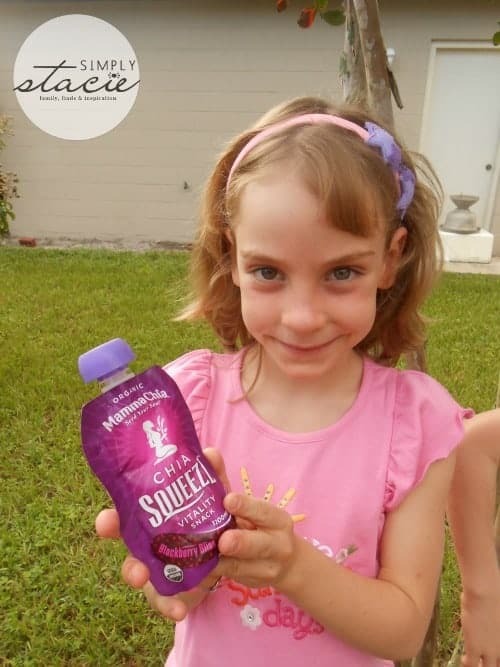 I was thrilled to discover Mamma Chia which solves all of my needs as it is a delicious, healthy drink and snack that is perfect for our busy family when we are on-the-go. Mamma Chia is a delicious blend of organic chia and real fruits and vegetables. I love that it provides over half of their recommended amount of Omega-3s. My daughter has severe asthma and her pediatric specialist recommended daily Omega-3s for her as well as my boys too. It has a whopping four grams of fiber to keep them satisfied between meals. It has no added sugars and a total of 7 grams of sugar which is a definite benefit for a fruit-based snack option since it is so very low. How does it taste? All three of my children love it. My daughter and younger son think that it tastes great. I was a bit concerned about whether my eight year old son would like it because he doesn’t care for the texture of seeds but he gave it a big “thumbs up”. I eat chia seeds daily in my salads, smoothies etc. so I thought that Mama Chia was an excellent idea. 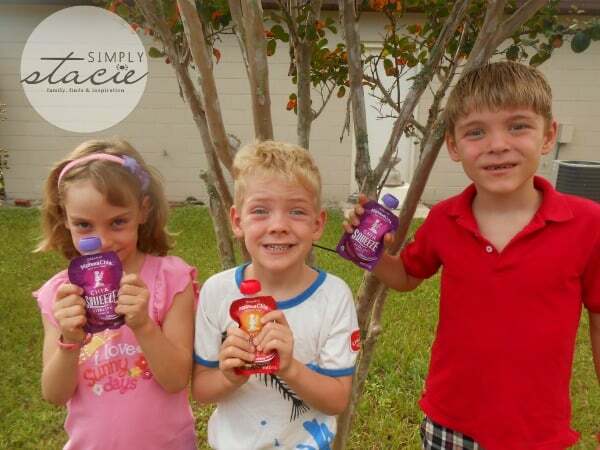 It introduces the health benefits of chia to children in a kid-friendly way. Mamna Chia is so convenient too because it comes in a 3.5 ounce, 70 calorie lightweight squeeze pouch that doesn’t require refrigeration and takes great cold or room temperature. There are four delicious flavors to choose from including Apple Cinnamon, Blackberry Bliss, Strawberry Banana and my kid’s favorite Green Magic. These are perfect in their lunch boxes for school co-op and we toss a few in our back pack for off road biking trips as it is a wonderful way to refuel on our outdoor adventures. My husband and I agree with the kids as it is delicious and helps keep us going on long hikes, canoe trips and more. For health conscious families, you will be just as pleased as I was to learn that Mamma Chia is USDA-certified organic, uses non-GMO ingredients and is vegan and gluten-free. You are invited to visit Mamma Chia to learn more about this product line and you can purchase your favorites online and have it shipped right to your door! I learned chia seeds contain Omega-3 fatty acids. I like that it contains Omega-3 fatty acids! I like how healthy it is and how it sustains. I really like how healthy and convenient they are….and no GMOs….awesome. I Learned that they dont use GMO’s. RIght on! I learned it Omega-3 fatty acids. I learned that Mama Chis is pasturized. I learned that chia seeds are a member of the mint family. i learned that chia seeds contain omega 3s which is fantastic! Chia seeds are a member of the mint family! great to have omega 3s in it too! Learned that the drinks are an excellent source of fiber. I like that they contain omega-3 fatty acids. I like how the seeds contain Omega-3 fatty acids.